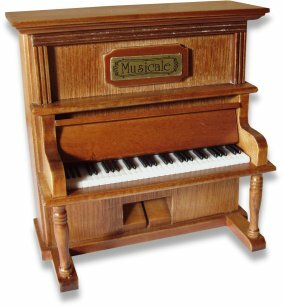 This miniature wooden upright piano is beautifully made and has a clockwork musical movement fitted inside. It is wound from the back and has a turn switch to turn the music on or off. The perfect gift for the piano player or classical music lover. Approx Size : 125 x 130 x 70mm.